Quarterly Publication of the Linton Research Fund Inc.
How to Become a Member of the Linton Research Fund Inc. The Linton Research Fund Inc., Web Site was established in 2007, by Terry Louis Linton. This Web Site is a publication of the Linton Research Fund Inc. The family newsletter, Linton & Bird Chronicles was established, in 1984, by Terry Louis Linton. This newsletter became a publication of the Linton Research Fund Inc., in 1988. It's first internet issue was dated April 11, 2007. All images and text are Copyrighted by the Linton Research Fund Inc., 1987-2013. All Rights Reserved, reproduction in whole or in part without written permission is prohibited. The Linton Research Fund, Inc., was founded on July 18, 1987, by Kirk Louis Linton (1914-1987). This research fund was to be established and organized. Then to be used in the researching and publishing, of its findings, of the genealogical linage and history of the ancestors of Kirk Louis Linton. Its accomplishments, finding, and publications are a "Memorial to the memory of, the late, Kirk Louis Linton." We are a Non-Profit Corporation, governed by the State Corporation Commission, Commonwealth of Virginia. "The Linton Research Fund Inc., shall assist persons throughout the United States and elsewhere with the genealogy and ancestral history research of Kirk Louis Linton, and those other families aligned genealogically, through publications, meetings, workshops, seminars, and other educational programs." 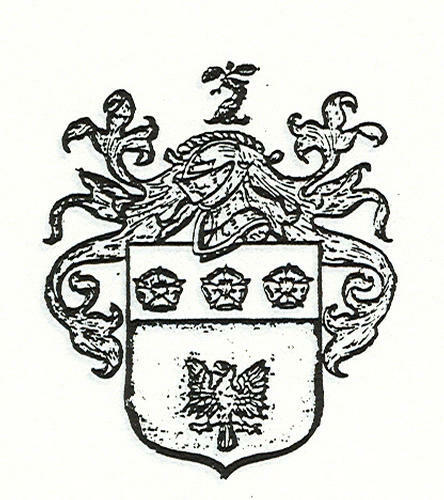 "The Linton Research Fund Inc., shall encourage, assist, and perform in the publication of genealogical and historical works pertaining to subjects on the surname of Linton and aligned families, or related areas or places, connected with them." PayPal has been added to our Linton Research Fund Inc., LINTON & BIRD Chronicles How to become a Member Page for your connivance. All Rights Reserved: This web site is intended for personal use only and may not be used for any business purpose without the express written permission of the Linton Research Fund Inc.
No part of this website maybe downloaded or reproduced accept as required for display in a web browser. No part of this website maybe used for transmission performance, display rental, lending or storage in any retrieval system. While every effort is being made to ensure the accuracy of the information on the Linton Research Fund Inc., Website, we accept no responsibility for any use made of the information provided and the Linton Research Fund Inc., shall not be liable for any loss suffered thereby. This website was established on April 1, 2007, designed by Terry Louis Linton © 2007 and is hosted by Mysite.com MYSITE IS A UNITED ONLINE COMPANY Copyright © 2009 United Online Web Services, Inc. All rights reserved. Editor Note: From Terry Louis Linton; I Need some help Please! , if any one finds a page that is not linked to any thing or a page that needs to be updated Please let me know here on the LINTON & BIRD Chronicles BLOG or e-mail me at Terry_L_Linton@linton-research-fund-inc.com or T_L_Linton@juno.com THANKS. Hope you injoy. According to January 2014 URLMETRICS Statistics, the Linton Research Fund, Inc., HOME PAGE is ranked 8,455,109 in the United States of all the websites on the Internet. Hay, at least we were ranked! 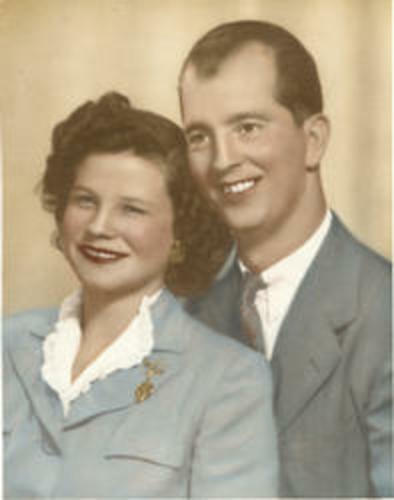 Wedding photo of Kirk Louis LINTON (1914-1987), the Founder of the Linton Research Fund, Inc., & Evelyn Virginia BIRD Linton (1922-2012), the Vice President and Membership Director of the Linton Research Fund Inc., photo taken in April, 1945. "Thanks for Visiting, come back when you can stay longer"
Scottish LINTON Coat of Arms & Crest, pen & Ink illustration, by Terry Louis Linton, © 1977 All Rights Reserved Linton Research Fund Inc., Publication © 1987, Reproduction in whole or in part without written permission is prohibited.